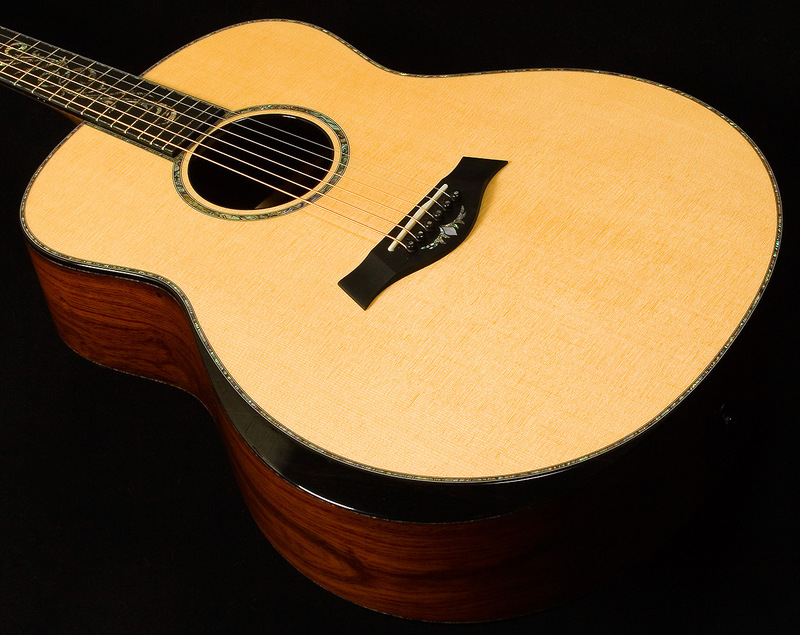 This beautiful Taylor has been extremely well taken care of and doesn't really have any play wear to speak of. 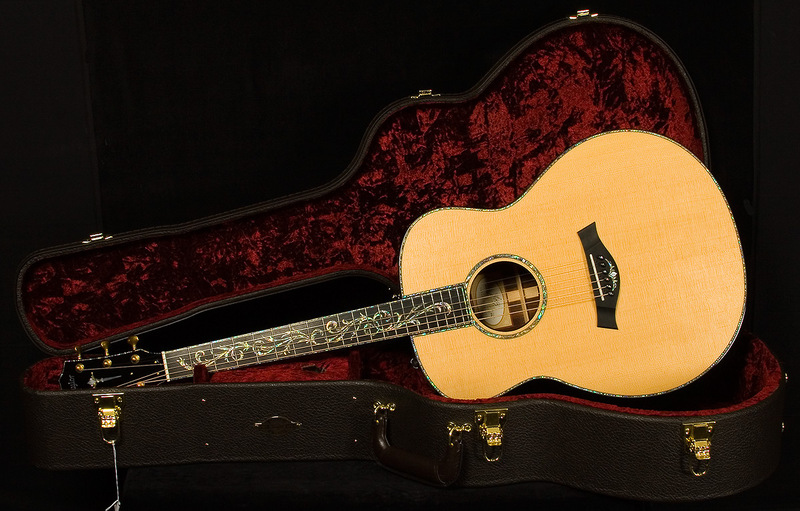 It includes the original Taylor hardshell case. Taylor's Presentation Series guitars occupy a class all their own. 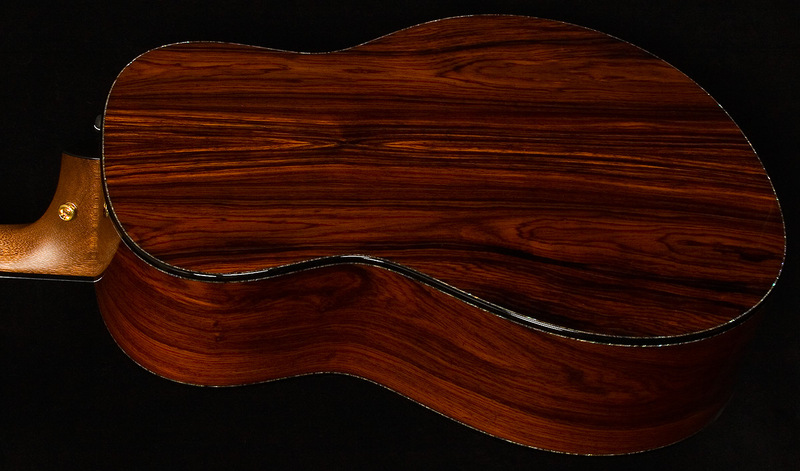 The finest sets of cocobolo are paired with premium Sitka spruce tops. A contoured ebony armrest blends beauty and playing comfort. 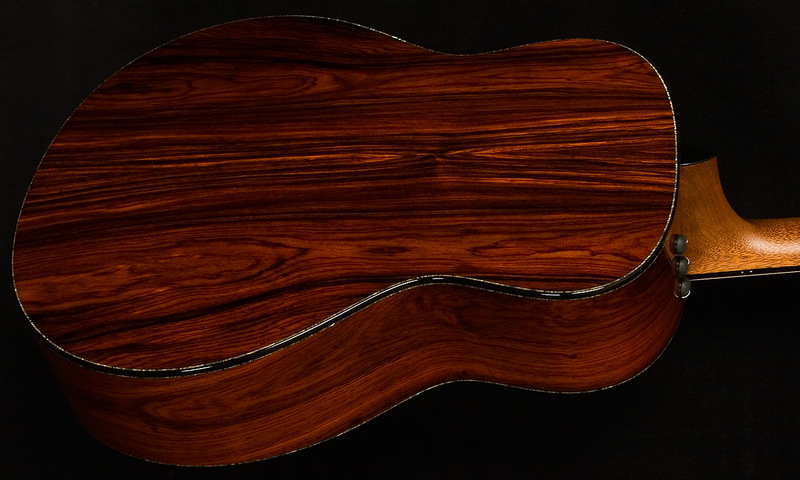 Other high-end details include colorful paua edging, a cocobolo backstrap, and an elaborate Nouveau vine fretboard inlay complemented by elegant headstock torch and bridge inlays. Offered with Gotoh Gold tuners and a bone nut and saddle.